Crooked or crowded teeth – A narrow jaw can lead to crowded or crooked teeth because there isn’t enough room for them. Asymmetry – When the centre lines of the upper and lower teeth do not line up. Deep / Reverse / open bite. Speech problems – Teeth that are crooked or poorly aligned can sometimes cause speech problems. A range of orthodontic treatment options are available to both kids and adults to address problems with the teeth and jaws. Traditional Braces: The most common type of braces used, traditional metal braces consist of metal brackets that are attached to the teeth with an adhesive and linked together with wires. Ceramic Braces: Just like traditional braces, they use ceramic brackets that are similar in color to a natural tooth. They are less visible, but they can become discoloured if not properly cared for. Coloured Braces: Like traditional metal braces, but the elastic hoops or modules are available in a range of colours, allowing the patient to customize them. Invisible Braces: Yes, they do exist! Invisible braces, also referred to as lingual braces, are simply braces that are placed behind the teeth, rather than in front, like traditional braces. Because they’re placed behind the teeth, invisible braces are more difficult to clean and to adjust to. But because they’re not visible, they offer a great option for patients who are concerned about the look of braces. Self-ligating Braces: These are simply braces that do not require elastic bands or modules. A clip or “movable door” holds the wires in place. Brackets are available in metal or ceramic. 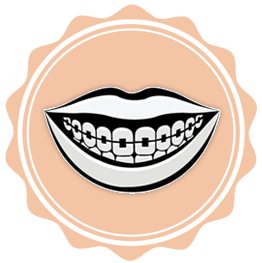 Aligner: If your teeth require only minor adjustments, an aligner may be a suitable option. An aligner is a removable transparent plastic sheath that fits over the teeth to reposition them. Aligners must be replaced every two weeks, so you will receive a set of aligners to use until you have achieved the desired results. Because aligners are removable, caring for the teeth is easier because there are no brackets or wires to get in the way of brushing and flossing. Retainer: A retainer is a removable appliance that is typically used to reinforce the results achieved by braces. It’s important to use follow your orthodontist’s instructions and wear the retainer as recommended so that your teeth don’t fall back into their old position.